Sikanda seems like a pretty interesting top-down action-adventure, one that gives you a shape-shifting weapon that takes inspiration from some well-known titles. A Switch release has highest priority for us and it's the only platform where we can give a definitive release date at the moment. Due to many people asking for a PC release in the last few months, we decided to also target Steam as second platform. This, and the opportunity for Early Access. I'm a little iffy about their wording, as a previous comment mentioned a day 1 release on Steam if they hit a stretch goal. So it seems either way it's going to be on Steam with Linux support, just a matter of when. 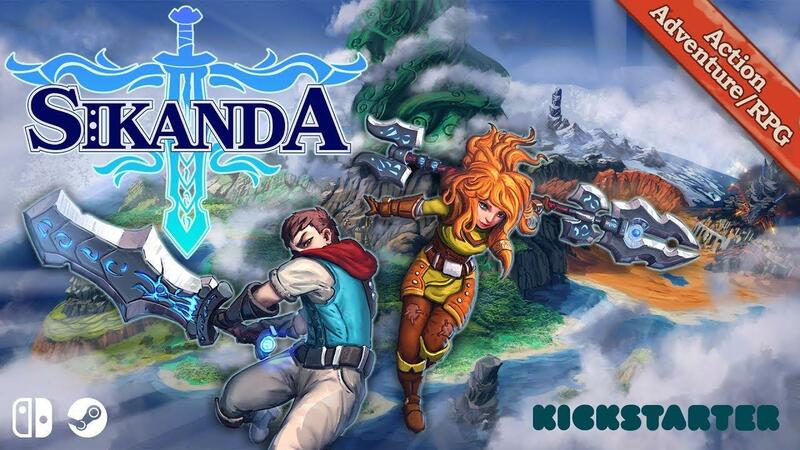 Sikanda is a top-down 3D Action-Adventure with RPG elements, inspired by famous classics such as The Legend of Zelda: A Link to the Past, Secret of Mana, Terranigma and Final Fantasy, but also influenced by modern JRPGs like Xenoblade and Bravely Default. The game features realtime action combat, puzzles, optional side-quests, crafting, trading, minigames and more. They have 33 days left to go with €3.5K pledged towards their initial €40K goal. Find it on Kickstarter. Also another with a Steam page already up to follow along. If you don't plan to pledge, it still could end up being a good game to stick on your watch list. Seems interesting but the graphics are really dated. At this point it's a mobile game. It's about on par with Torchlight II. I know graphics aren't everything, but I do feel the art style should be pushed to the limit, in order to compensate for the lacking visuals. No DRM-free version == I'm not interested. Looks very similar to Oceanhorn. It looks good to me. I've wanted to play Zelda games for a long time, but I just don't want to do it in the living room. I could see myself getting this one. Looks fun! I won't pledge, but hope to buy it some day. tuubi Looks fun! I won't pledge, but hope to buy it some day. - The only place Linux is mentioned is in the FAQ where they basically just list platforms that Steam currently support.